President James Garfield: Short biography of President James Garfield and the key events during his presidency. James Garfield (1831-1881), nicknamed the "Preacher President", was the 20th American President and served in office in 1881. The Presidency of James Garfield spanned the period in United States history that encompasses the end of the events of the Reconstruction Era and the Gilded Age. President James Garfield represented the Republican political party and became president on March 4, 1881. He was a reformer and worked for the re-unification of the nation after the Civil War and the Reconstruction period. His foreign policy started well when he authorized Secretary of State James G. Blaine to organize a Pan-American conference with Latin American states. The conference was scheduled to take place in Washington in 1882 but James Garfield was assassinated before it came to fruition. President James Garfield was shot by Charles Julius Guiteau at the Baltimore and Potomac Railroad Station on July 2, 1881. President James Garfield died on September 19, 1881 aged 49, eleven weeks after being shot. His presidency had lasted for 100 days. The next president was Chester Arthur. The nickname of President James Garfield provides an insight into how the man was viewed by the American public during his presidency. The meaning of the nickname "Preacher President" refers to his two-year stint as a preacher before becoming involved in politics. The character traits of President James Garfield can be described as friendly, gregarious, determined, out-going, open and supportive. It has been speculated that the Myers-Briggs personality type for James Garfield is an ENTP (extroversion, intuition, thinking, perception). An outgoing character with a strong desire to improve the world they live in. 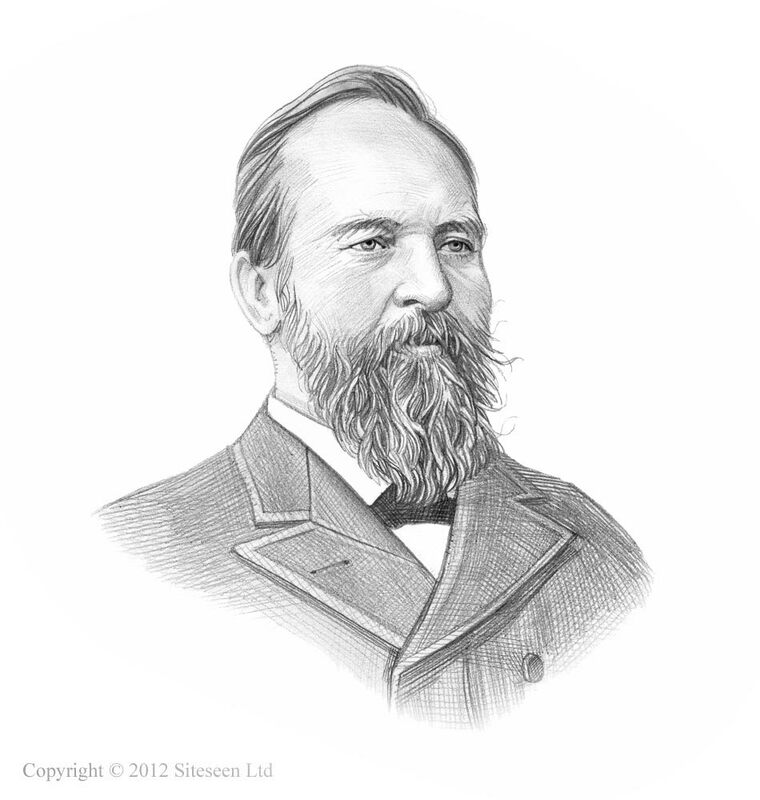 James Garfield Personality type: Loyal, innovative, flexible, rational and resourceful. Summary of the Assassination of James Garfield: James Garfield was inaugurated as president on March 4, 1881 but came to an abrupt and tragic end with his death on September 19, 1881, he had served as president for just 100 days. The Assassination of James Garfield was perpetrated by a vengeful ex-supporter Charles Julius Guiteau, who failed to get the position he wanted from the 'Spoils System'. Charles Julius Guiteau shot the president at the Baltimore and Potomac Railroad Station on July 2, 1881. President Garfield died 11 weeks after being shot on September 19, 1881.